Whether you need to add the most trending parts to your vehicle or need auto replacement parts, we are your source for all types of car and truck parts. 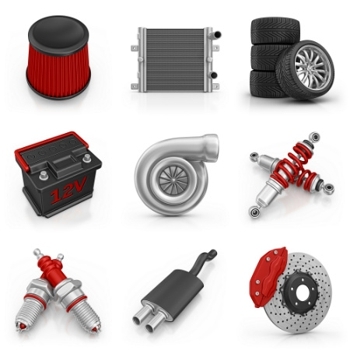 We have an extensive inventory of auto parts to choose from that can enhance the longevity of your vehicle. Our experienced and friendly staff will help you with all your specific auto requirements and needs. Whether you need brake, clutch, lighting or hydraulic parts we have it all. We pride ourselves on providing excellent customer service. We stock a wide variety of auto parts for any vehicle at affordable prices. Call us at (209) 565-3946 to learn more about our products. Why Choose Clutch & Brake Xchange? At Clutch & Brake Xchange, we sell heavy-duty truck parts, equipment, and components in the Stockton and the surrounding area. Since 1947, we have been providing superior services to our customers in a hassle-free manner. We also offer a large inventory of truck parts, equipment, and components, from truck clutches and brake systems to custom hydraulic hoses and fittings and much more at a price that fits your pocket. We will also help you in finding the quality parts at great prices. Call us today at (209) 565-3946. Our experienced staff is here to assist you with all your truck parts needs.